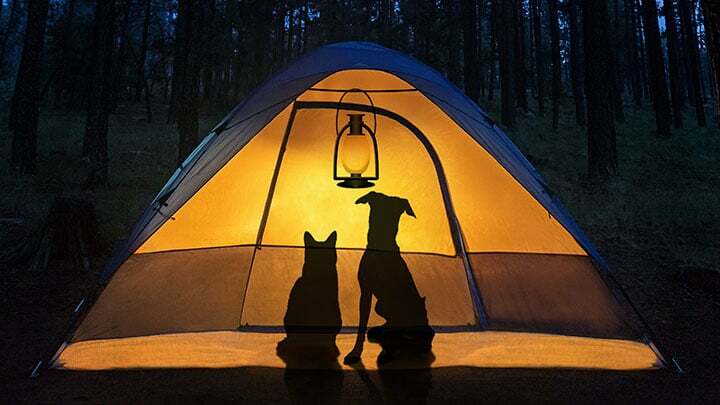 Taking your dog with you in the car is something you love to do, and sometimes something you have to do. But you may not like the mess that your canine family member leaves behind, like dust, treat crumbs, and of course, dog hair. Many times a car seat cover is enough, but dogs have the magical ability of discovering all the cracks and crevices and filling them with hair. Most dogs shed, and some shed more than others. Still, you shouldn’t let that stop you from taking your dog in the car. This is where a dog hair specific car vacuum comes in handy. Some on this buying guide are more expensive than others, while some have more features, but it really pays to comparison shop. We’ve included a little bit of everything. You’ll see some that are super lightweight and portable, whereas others are corded and have a little more power. 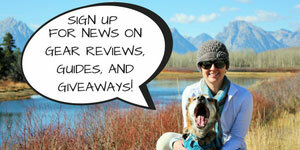 It all depends on what you need for your specific pooch. This one is first on the list for a reason. It’s reasonably priced, was designed with pets in mind, and is cordless. 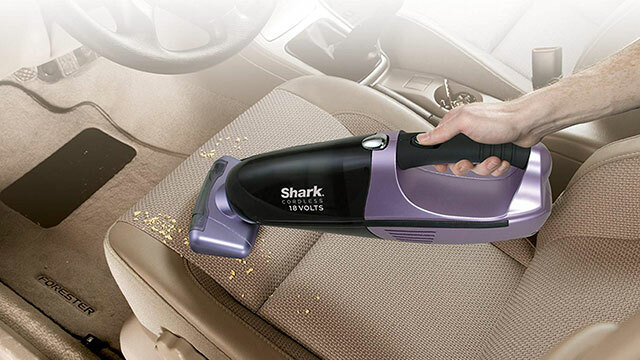 You can also use the Shark Pet-Perfect Vacuum also on hard floors, but you can’t beat it for cleaning up dog hair in your car. It has a rechargeable battery and easy to transport. The charging station is wall-mounted, and its powerful suction makes it worth every penny. Or you can just leave it in the trunk of your car for easy access. No bag, no cords, which makes it so easy to use that your kids can help keep the car clean and hair-free. 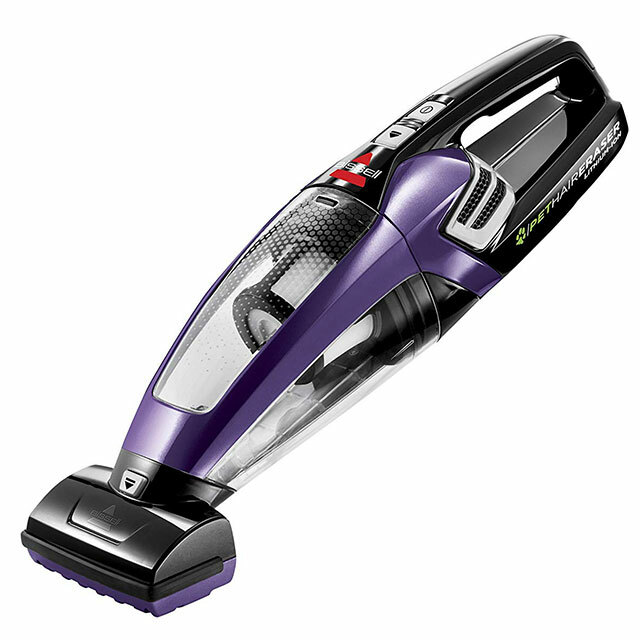 Perfect for: Dog owners looking for a mid-price range, but a vacuum with powerful suction and easy handling. This vacuum isn’t the cheapest on our list, but it does have the Black + Decker name behind it, and that’s a brand that consumers have trusted for years. This handheld vacuum cleaner is cordless, compact, and has accessories to make short work of cleaning up pet hair. The pet hair brush is one of those accessories, and the long wand is the other. 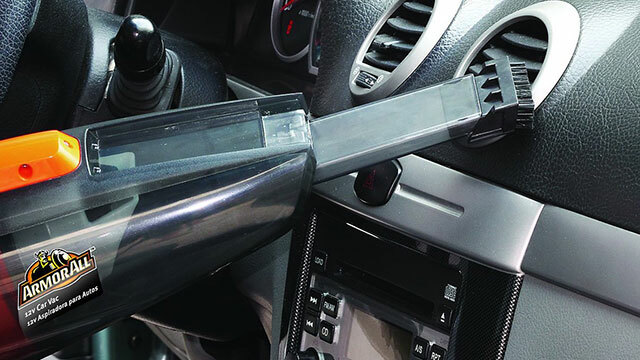 These are interchangeable accessories that reach into the crevasses that a regular car vac can’t. The cyclone action diverts dirt and debris away from the filter to prevent clogs. The canister is easy to empty and cleans up easily. 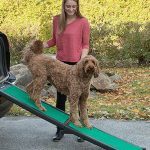 Perfect for: Those who travel frequently with their dogs in the car, or those whose dogs shed more than others. 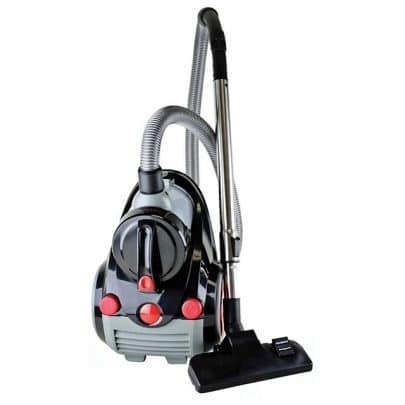 Some customers prefer a corded vacuum cleaner, and the Eureka name itself is an attractive feature. Priced mid-range, this handheld vacuum offers powerful suction to clean up the most stubborn dog hair left behind in your car. 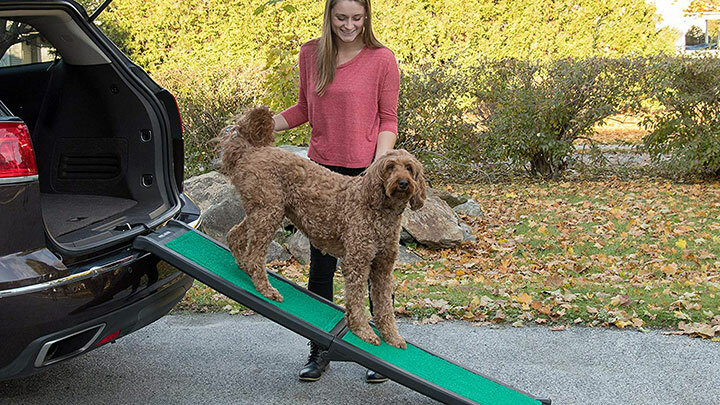 It’s lightweight (under 5 pounds) and well-balanced, and has a hose attachment as well as a motorized brush for those hard-to-reach places in your car, under and between seats, the carpet, and the upholstery. The cord is 20 feet in length. Perfect for: Dog owners who only have to clean up dog hair occasionally, but want strong suction they need it. Those looking for a brand name. Our list is packed with name-brand vacuum cleaners, and this Bissell Pet Hair Eraser is yet another to consider. Also corded, this handheld vacuum cleaner has many features to love, from its cute but functional design to its budget-friendly price. 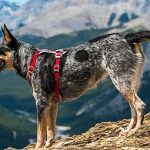 The rubber nozzle actually attracts more dog hair than a plastic or metal nozzle, and is specially designed to reach into the nooks and crannies of a car where dog hair can be embedded. The cord itself is 16 feet long, and if that isn’t long enough, an extension cord can always be used. 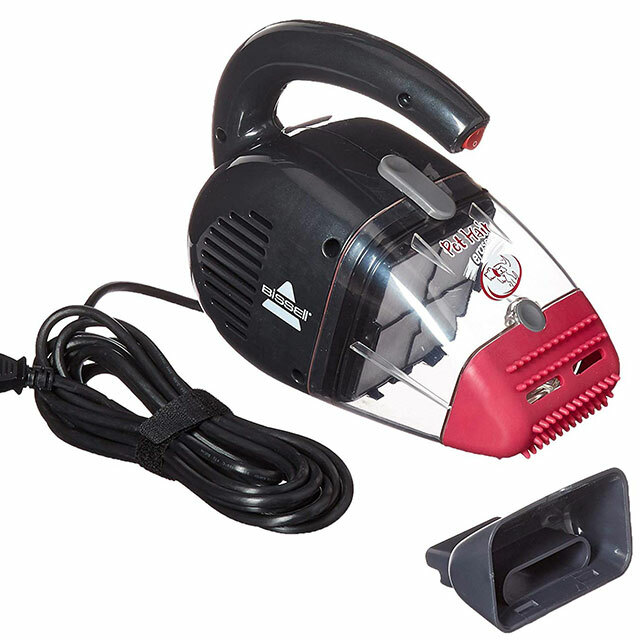 Perfect for: Dog owners looking for new concepts and designs with the performance of a traditional handheld vacuum. 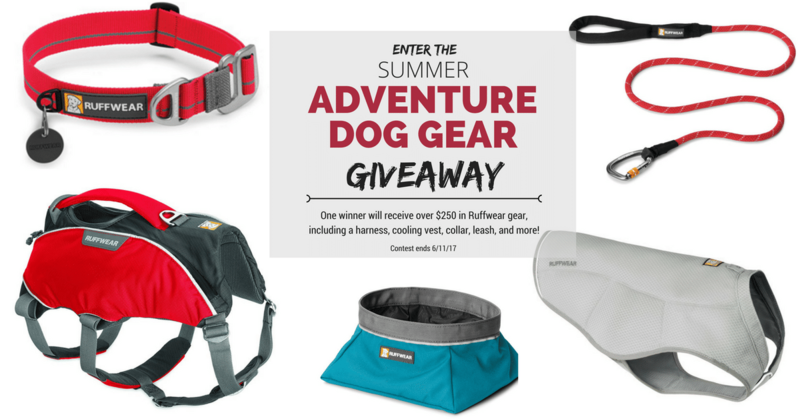 Those looking for affordable gift ideas for the dog owner in their lives. This one has the extras all in one package to tackle any dog hair mess in your car. The price isn’t the highest on this list, but the Ovente Bagless Canister Cyclonic Vacuum is worth every penny if it rids your car of dog hair. Where to start with the features? It has bristle pet brushes, a telescopic wand, strong suction, and a retractable cord. There is even a light that comes on to let you know when the filter is full and the canister needs emptied. Just wash and use again. 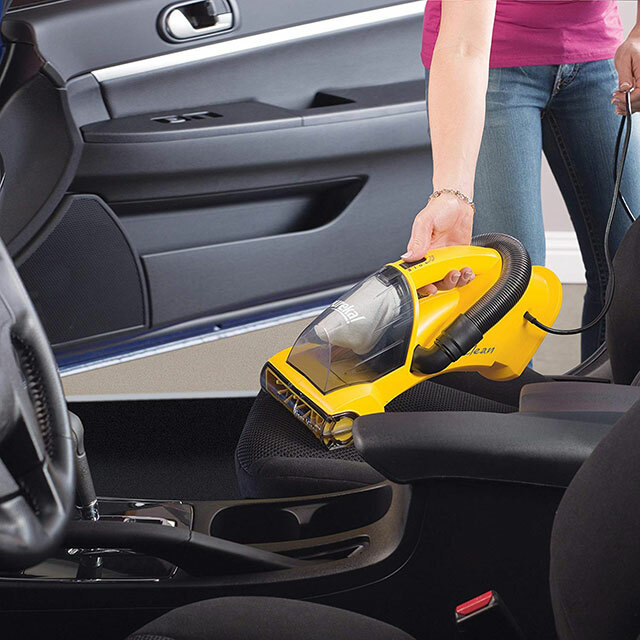 This is a lightweight car vacuum that performs like a heavy duty one. You may just want to use this for your home or office. Perfect for: Those with multiple dogs, heavy shedders, large dogs, or large vehicles. 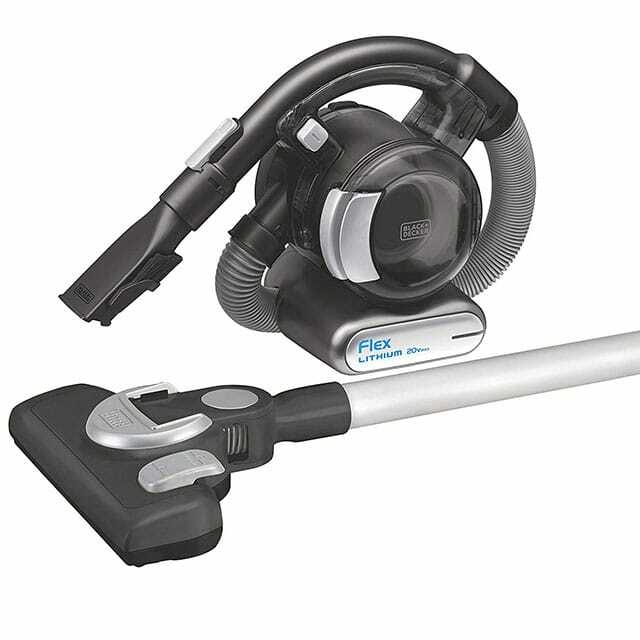 This is the vacuum that I personally use for my car and other small areas around the house. I wanted something wireless and small (because I have back issues), so it was a toss up between this and the Shark Pet Perfect II (our #1 pick). I’ve always trusted the Bissell brand, so this is what I ended up with. It comes with 3 accessories though I mostly use the motorized brush (for seats and floors) and the crevice tool (for everything else). Perfect for: someone who wants something small and easy to clean, but is willing to sacrifice a little bit of the power of the corded version. This nifty little car vacuum is the most affordable on our list, and this is great news for those who have small dogs that shed very little. It’s also the only true “car” vacuum, as it has an adapter to plug right into your car! Most if not all of the vacuum cleaners on our list are brand names instantly associated with vacuum cleaners, but Armor All is a name most-associated with cars and keeping them clean. This small, lightweight vac charges right in your car for those unexpected hair situations left behind from your dog or someone else’s after riding in the car. A detail brush is included, and a removable, washable filter. This model has a 15-foot power cord and a retractable wand to reach cracks and crevasses. And if that isn’t enough, it has an LED light for nighttime cleaning, or cleaning in darker or shadowed areas of your vehicle. Perfect for: Small dogs, small hair messes, budget-minded consumers. 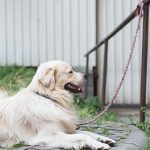 It’s hard to choose the best on this list, but the Ovente Bagless Canister Cyclonic Vacuum seems to have been designed with dog owners in mind. It has the extra accessories someone needs when cleaning dog hair from a car, and the price is mid-range. You don’t want to spend a lot of your off hours cleaning your car, so the strong suction and ease of use are very appealing. Why a car vacuum just for dog hair? 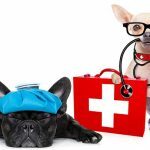 Having a dog is a wonderful experience, but there are responsibilities that come along with it, and one of them is cleaning up after your precious pet. 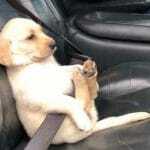 Dog hair can cling to surfaces inside a car that a conventional, drive-through vac can’t reach. A few accessories make the job even quicker and easier. And after your dog rides in the car, you want to make sure it’s as clean and sanitary as possible, to prevent children and other passengers from being exposed to hair and germs. Tip #1: Put a dryer sheet inside your bagless vacuum. Your car probably doesn’t always smell the best, and there’s tons of pet specific products for that. But your vacuum also likely stinks. Putting a Snuggles dryer sheet inside the dust bin of your vacuum can help alleviate that problem. Tip #2: Use your walk-behind vacuum in the trunk. If you drive an SUV, hatchback, or truck then you likely have a flat area where your seats fold down for more trunk space. Lay your seats down flat, back your car into your garage (or car port or whatever) and break out your indoor vacuum. Tip #3: If you have carpet in your car, try Pet Fresh. For a super clean smell, sprinkle (and I really do mean just a sprinkle) some Pet Fresh. Let it sit for a few minutes then vacuum it up. Tip #4: Use a lint brush on leather or vinyl. If you have beige or light colored upholstery it’s sometimes hard to see dog hair that is blonde or golden. Just keeping a lint brush in your car for a few quick rolls will do the trick on most seats.